BETHANY BEACH, DE--(Marketwired - February 09, 2016) - ResortQuest Real Estate is proud to announce Maryhelen Garst recently joined the Anne Powell Group at its Hickman Beach Plaza West office on Coastal Highway in Bethany Beach, Del. 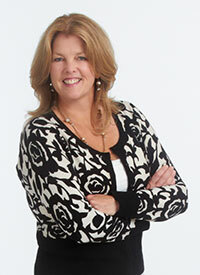 Licensed in 2004, Garst quickly emerged a top producing agent in Montgomery County, Md. She moved to the Delaware Coast in 2008 and has worked with both resale and new home clients, including at The Village of Bear Trap Dunes and Millville by the Sea. For 26 years, Garst ran her own consulting firm focused on financial and accounting systems, including application development, implementation, training, support and maintenance. Her prior experience also includes project management and electronic data processing (EDP) auditing. "We are very excited to add Maryhelen to our success team," said Brigit Taylor, ResortQuest Real Estate's broker of record. "With her past experience combined with her energy, enthusiasm and customer service skills, we know she will be an integral part of the ResortQuest team." Garst received a master's of business administration degree from Pace University in New York and a bachelor's degree from Quinnipiac University in Connecticut. Licensed in Delaware, Maryland and Connecticut, she is an active member of the National Association of REALTORS®, Delaware Association of REALTORS®, Sussex County Association of REALTORS® Coastal Association of REALTORS® and the Maryland Association of REALTORS®. Garst's office is located at 33012 Coastal Highway, Hickman Beach Plaza West. She can be contacted online at MGarst.ResortQuestDE.com or at 302-541-8894. Garst is newest member of The Anne Powell Group (APG), an award-winning, consistent top producing team in Coastal Delaware and Maryland with more than a decade of experience listing and selling resort-area real estate. APG is a Delaware Today 5-Star Real Estate Agent/Group and closed more than $13 million in residential real estate in 2015. Dedicated to serving its clients and community, APG is a corporate sponsor of The Bethany-Fenwick Area Chamber of Commerce, a contributor to The Freeman Stage and Presenting Sponsor of The Fenwick Flicks, as well as a patron of the South Coastal Library Cottage Tour, The Joshua M. Freeman Valor Awards, Justin Jennings Beach House and Athletes Against Alzheimers, among others. For information on starting a career in real estate, contact Taylor at 302-541-8780 or visit www.ResortQuestDE.com. ResortQuest Delaware Real Estate, LLC, a subsidiary of Wyndham Vacation Rentals North America, LLC, has provided real estate sales, vacation rental, and homeowner association management services to Bethany Beach, Sea Colony and other fine communities in Delaware's Quiet Resorts, Maryland and the surrounding coastal areas since the early 1970s. Its affiliate ResortQuest Delaware, LLC's homeowner association management division, represents the needs of more than 6,300 homeowners in 50 associations from Lewes to Fenwick Island, Del. Wyndham Vacation Rentals®, part of Wyndham Exchange & Rentals® and the Wyndham Worldwide family of brands, is the world's largest professional manager of vacation rentals, providing access to approximately 103,000 vacation rental properties in more than 550 unique destinations worldwide. For additional information, visit our media center on wyndhamvacationrentals.com.